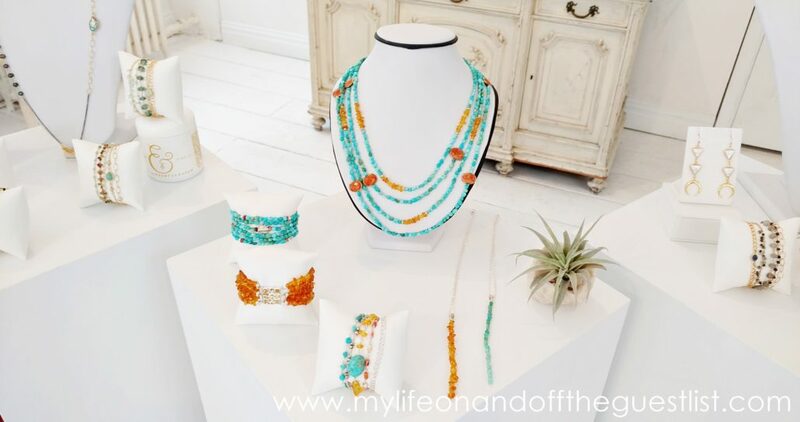 If you didn’t get a chance to be gifted with, or grab some of the PONO by Joan Goodman spring jewelry collection for yourself for Mother’s Day, now is your chance to get some of their gorgeous pieces for yourself, at a great discount. 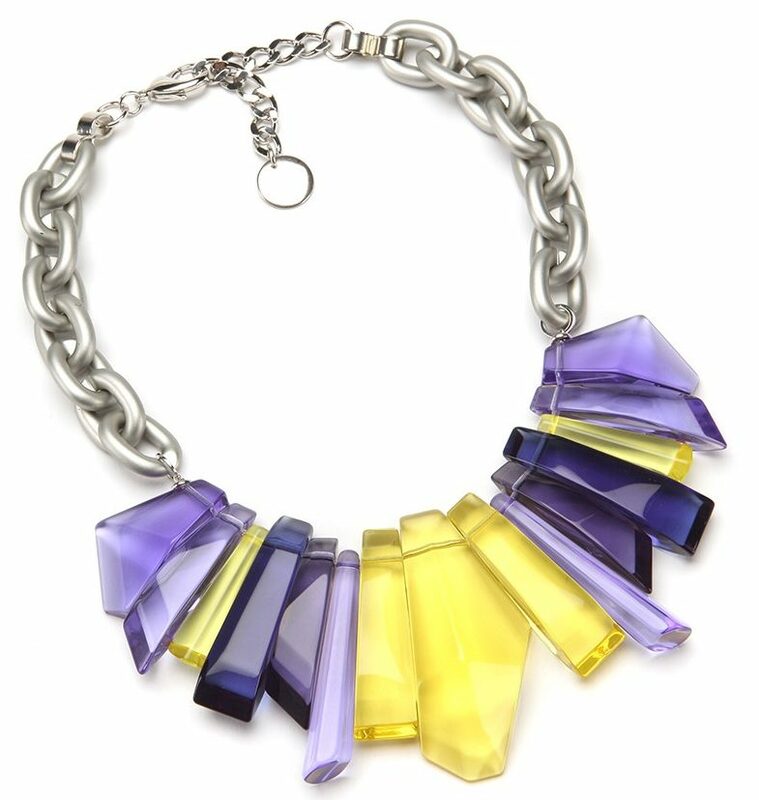 You may remember we highlighted some of our favorite PONO pieces in our Spring 2017 Accessories and Mother’s Day Gift Ideas blog post. 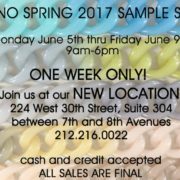 Yes, ladies and gentlemen, the spring sample sale season has arrived. 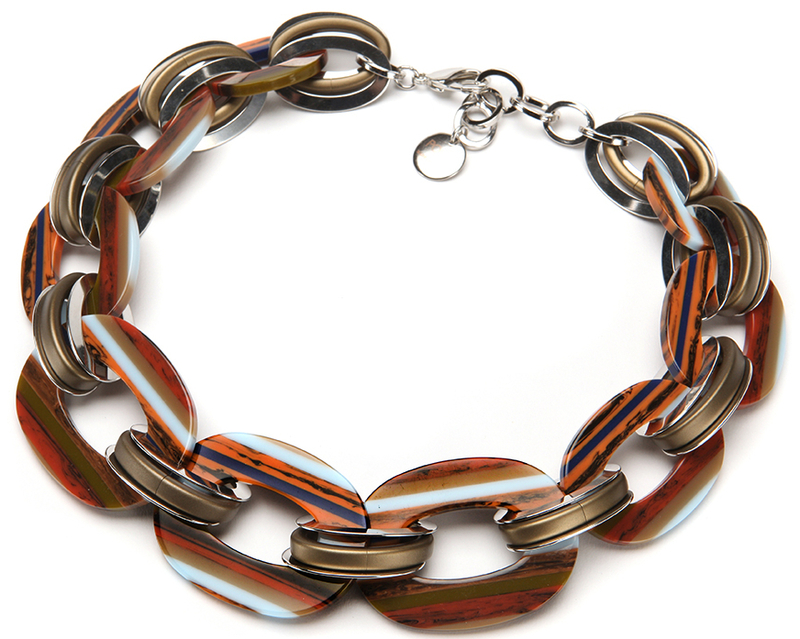 Why not treat yourself to one or several of PONO by Joan Goodman’s amazing jewelry pieces. 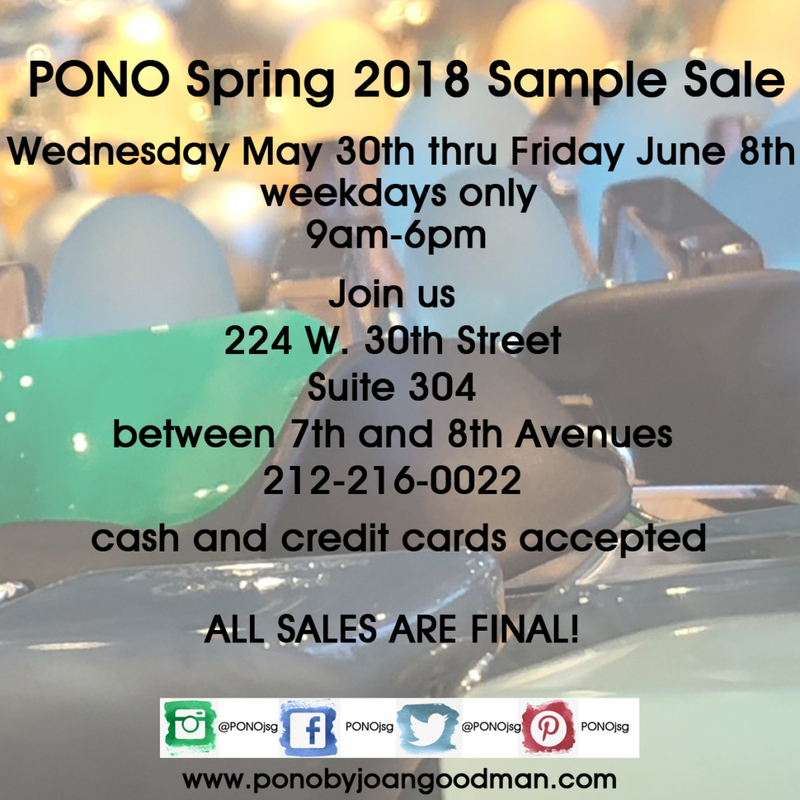 What savings can you expect from the PONO by Joan Goodman Spring Jewelry sample sale this season? 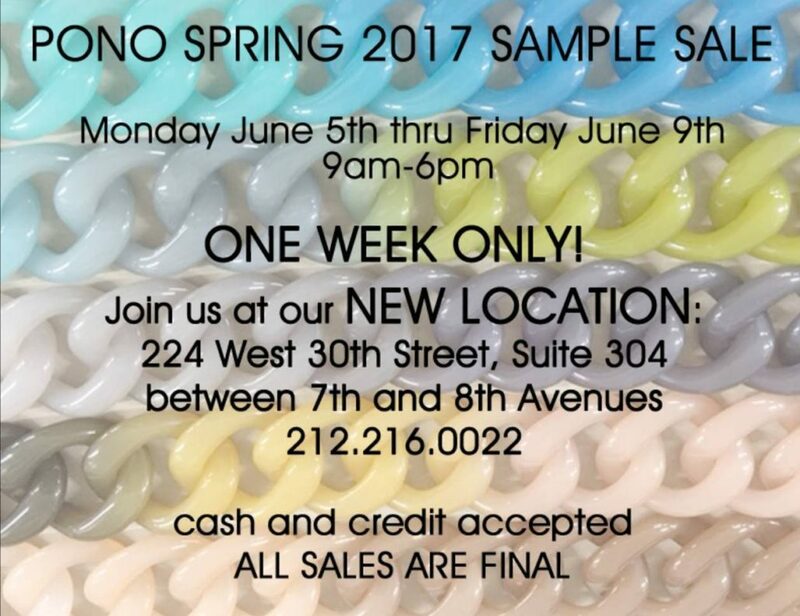 Score all the gorgeous baubles you can imagine when you pop into PONO’s Spring Sample Sale, where all the pretty things and statement pieces are 50-80% off. 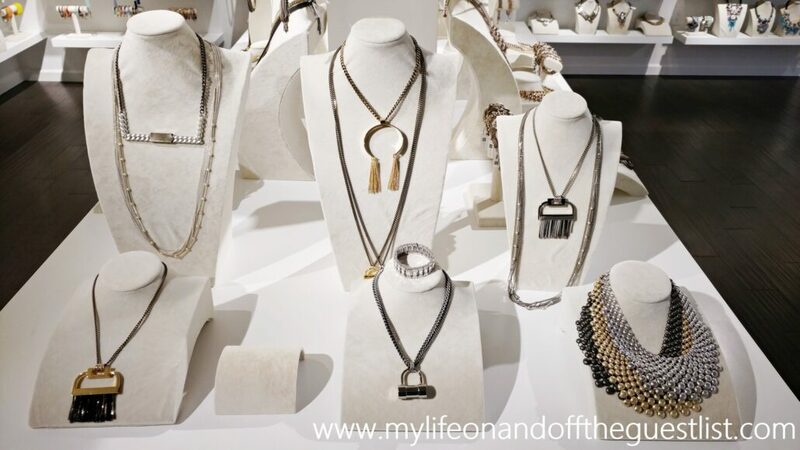 Get to know more about the brand and this stunning collection as you review the line with PONO’s designer, Joan Goodman. 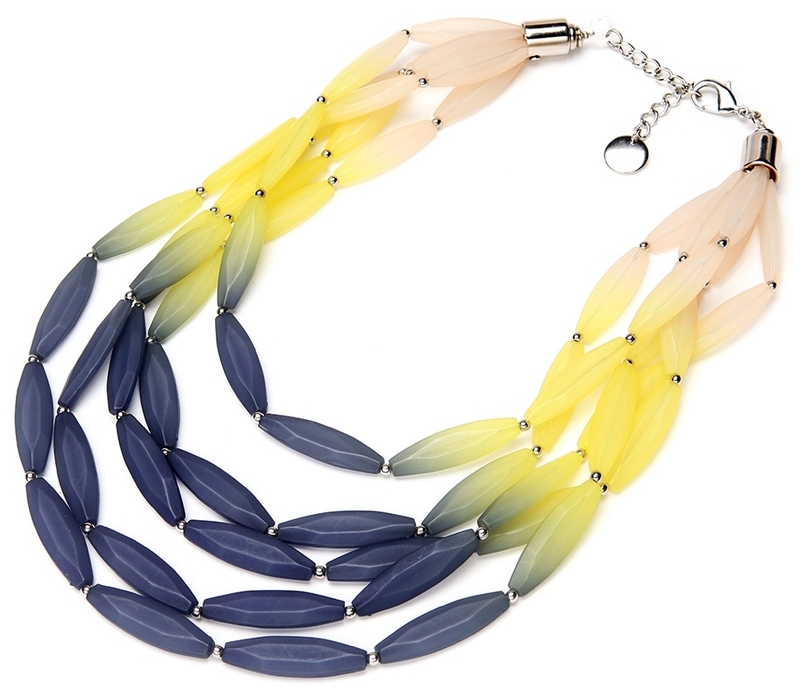 After you’re well acquainted with the pieces, select from PONO’s exceptional array of items like the utterly divine Dream Catcher Necklace once $365.00, now yours at the reduced price of $150.00; collect a cool choker or two, like the Paulina Arctic Resin Choker, originally priced at $225.00, now yours at an easy $100.00; or go galactic with The Stardust Ana Choker, a steal at $60.00, from the original price of $215.00. 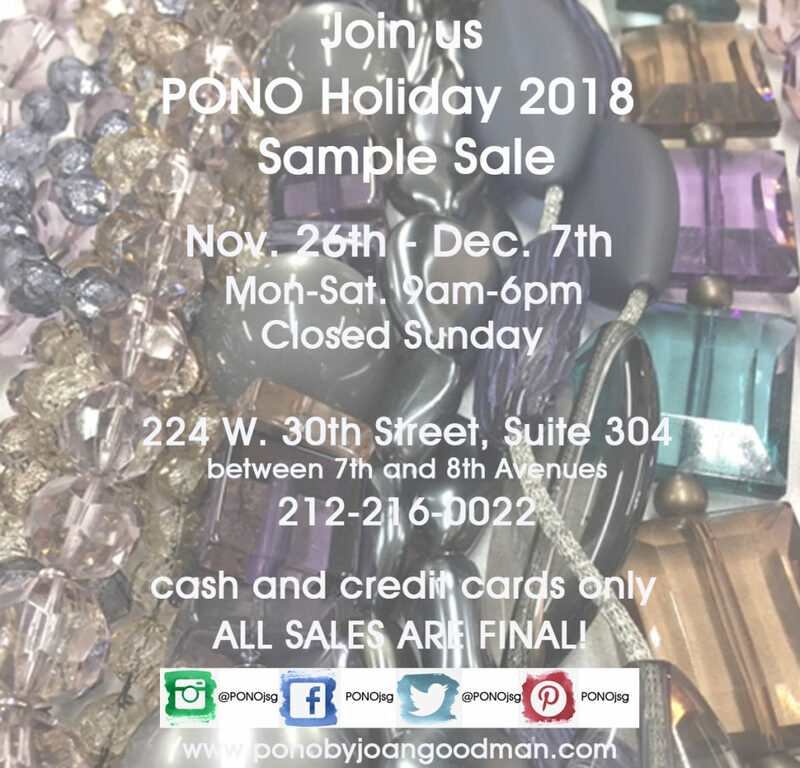 If arm candy is a must-have for you this season (and it should be), why not top off your trip with a big win at the PONO bangle bar, where three pieces are only $25.00, five bangles go for $30.00, and ten bangles are yours for only $50.00. 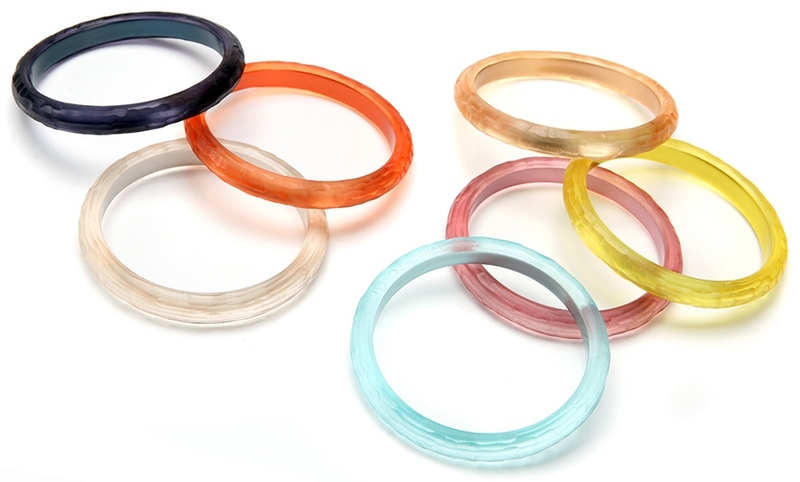 You’ll be saving a bundle, as all of these beautiful bangles are originally valued at $30.00-$45.00 apiece. 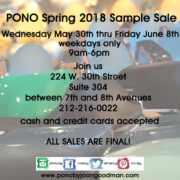 the PONO by Joan Goodman Spring Jewelry sample sale runs June 5th -June 9th, from 9am–6pm. We must note that PONO has a new address. 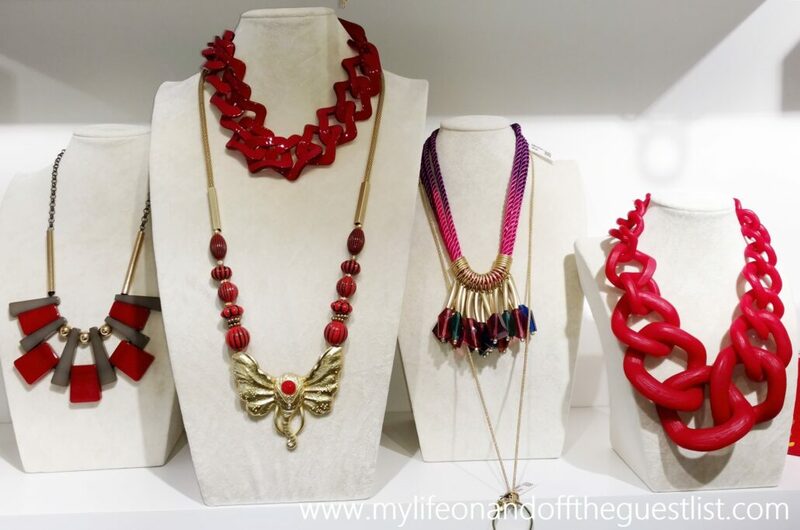 You can now find the ladies and their gorgeous jewelry pieces at 224 West 30th St. suite 304, conveniently located between Seventh and Eighth Aves. Access can be found with the following Subway lines: B, D, F, M, N, Q, R to Herald Square, or the 1, 2, 3, A, C, E to Penn Station. 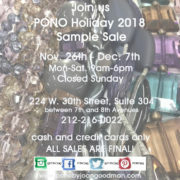 For more information, call (212) 216-0044 or visit www.ponobyjoangoodman.com. 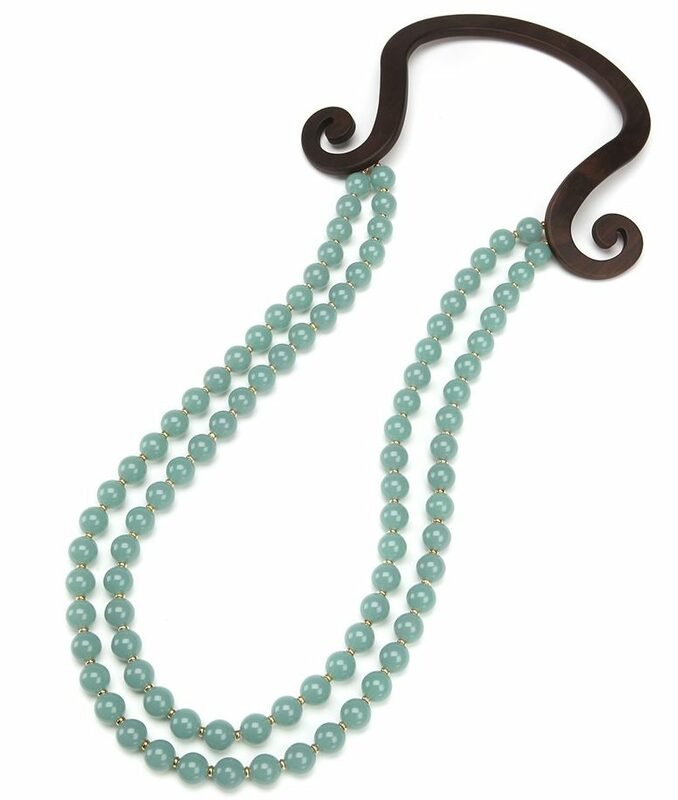 Are you thinking of last-minute Mother’s Day gifts for the moms in your life? 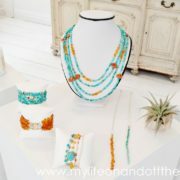 Who better than a mother and daughter jewelry making duo to give the wonderful mothers you know the perfect gift! 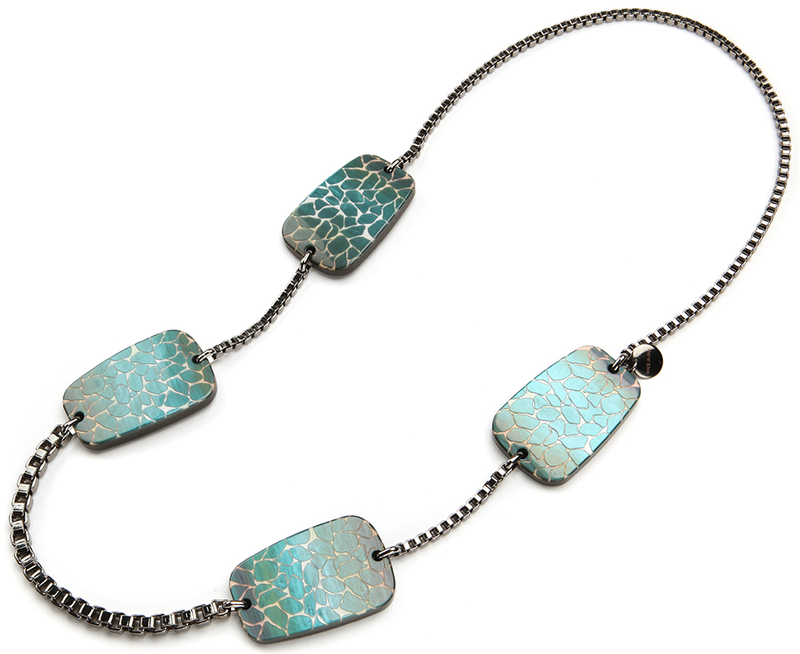 E. Shaw Jewels offer unique jewelry featuring precious gemstones and one-of-a-kind designs, all handmade by mother and daughter, Eva and Elizabeth Shaw. 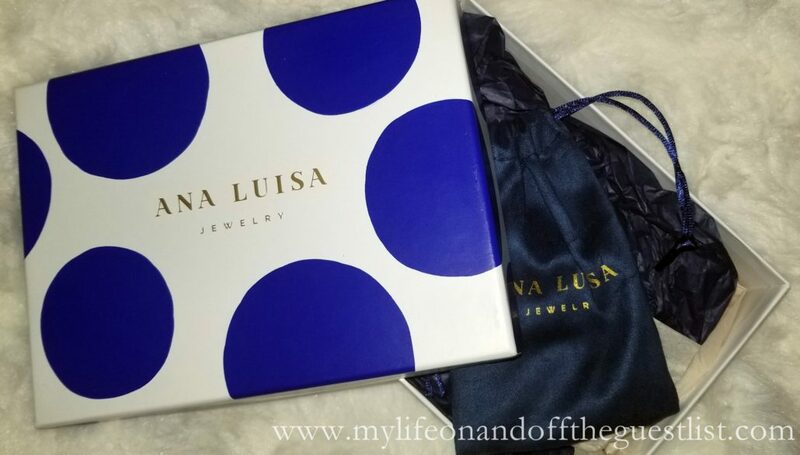 Whether you select the gift option yourself or give the moms on your list a gift certificate to select their own gift (E. Shaw has all the birthstones available), both you and your Mother’s day gift recipients will not be disappointed in this amazing fine jewelry brand that is made in America. 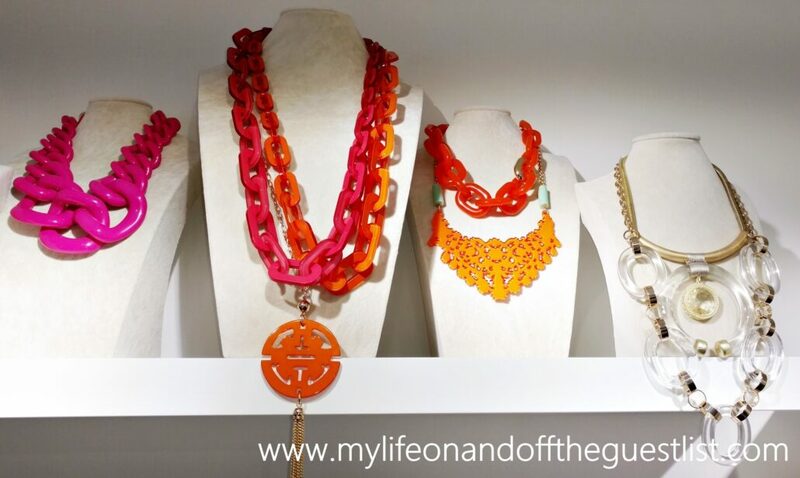 Not sure if the moms in your life would love a bracelet or necklace? 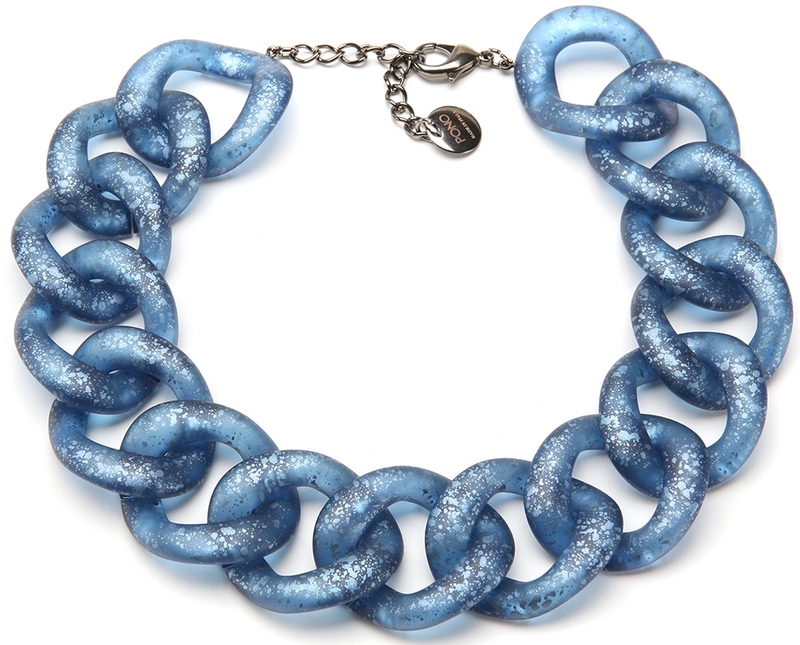 Gift her with an E. Shaw Jewels Jasmine, Luau, or Clear Sky Wrap Bracelets, $125.00. 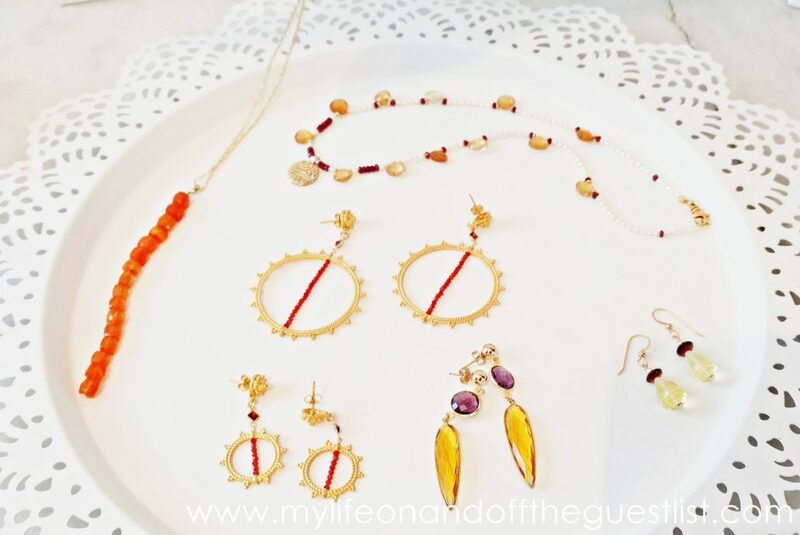 These versatile pieces, made with a variety of assorted gemstones, convert into five layered bracelets, a long necklace, or a doubled necklace. 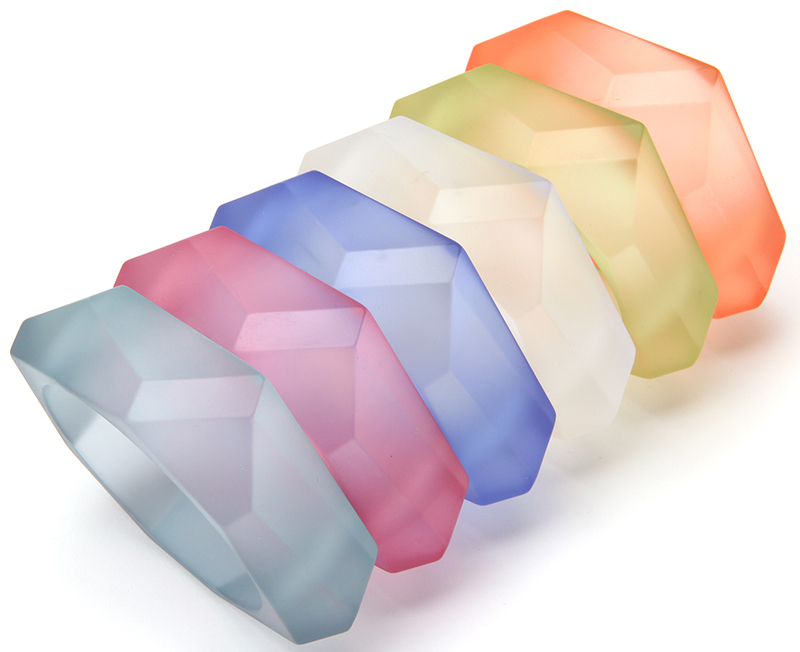 As with all E. Shaw jewels, they can all be worn alone or layered with your favorite jewelry pieces. 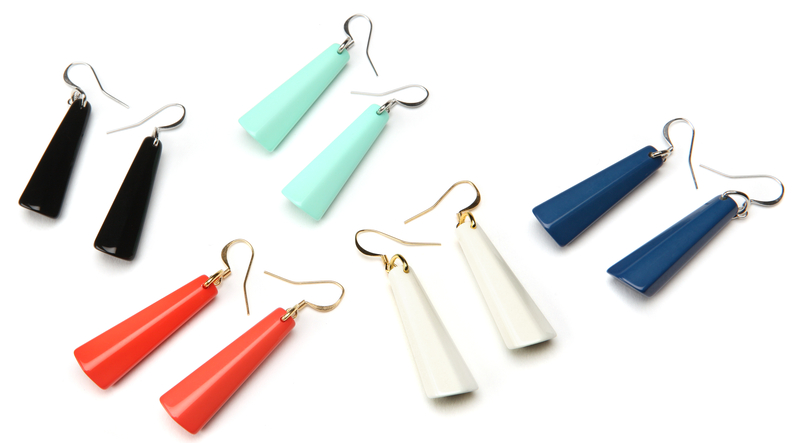 If your mom is like ours, maybe she’s a huge fan of earrings. 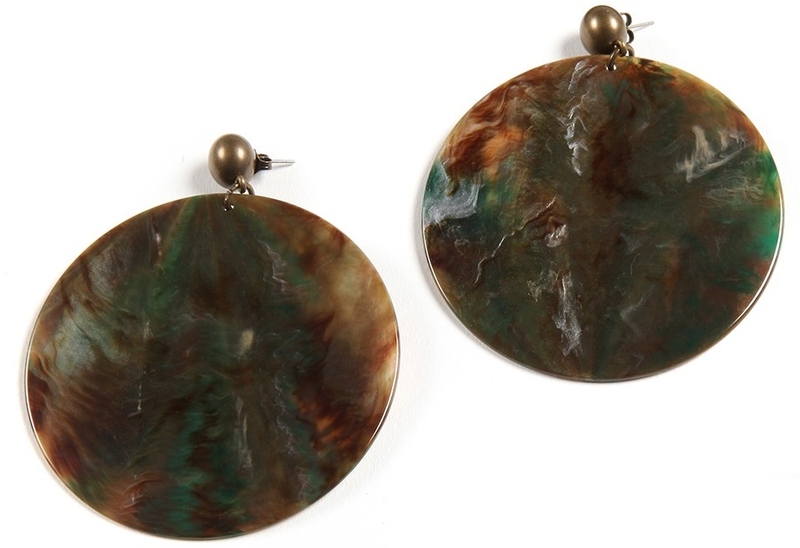 E. Shaw Jewels offer several amazing natural and raw gemstone earrings, as well as polished gemstone earrings. We love the Soleil Hoop Earrings, Delta Earrings, and their famed Tassel Earrings (which are available in a variety of styles, gemstones, and lengths). 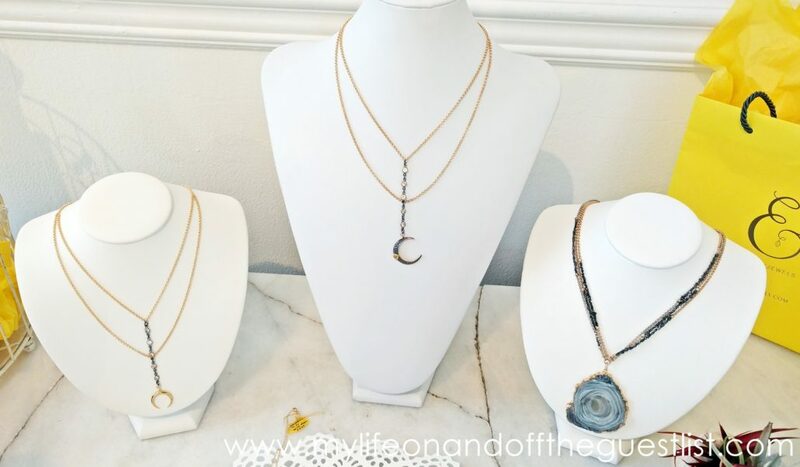 Want to gift the mom in your life a complete set, why not try one of the Over the Moon Necklaces, and matching Over the Moon Earrings. 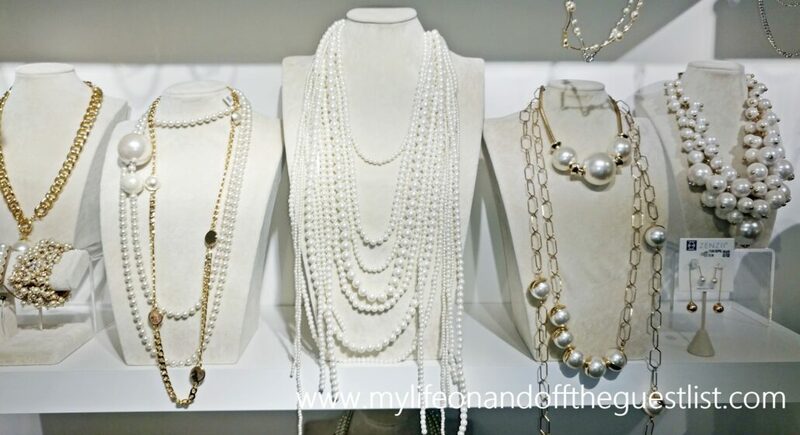 Give her either the 14-kt gold-filled or sterling silver and sparkling cubic zirconia necklace and pearl earrings or go extra special and give her both pieces encrusted with diamonds. 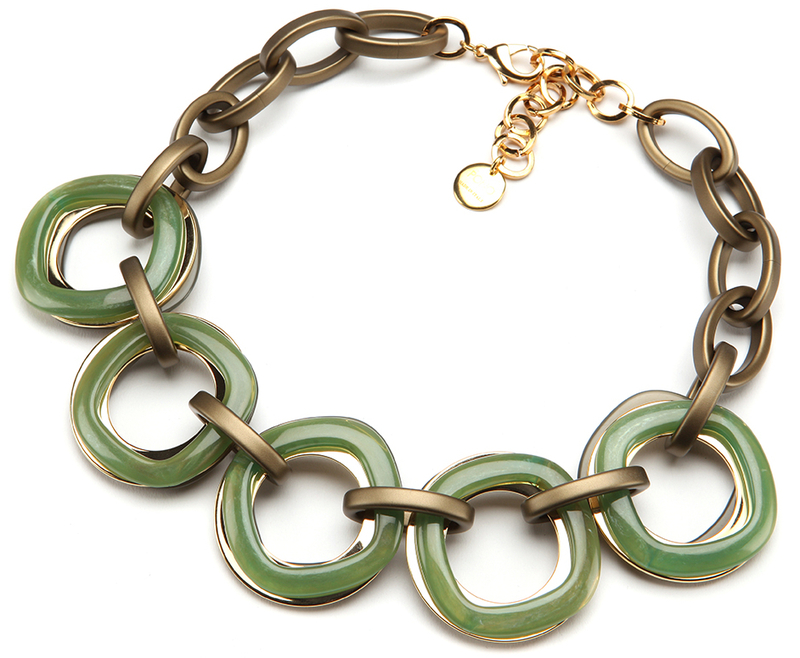 Would the moms on your list love an E. Shaw Jewels piece? Would you love one or two pieces for yourself? 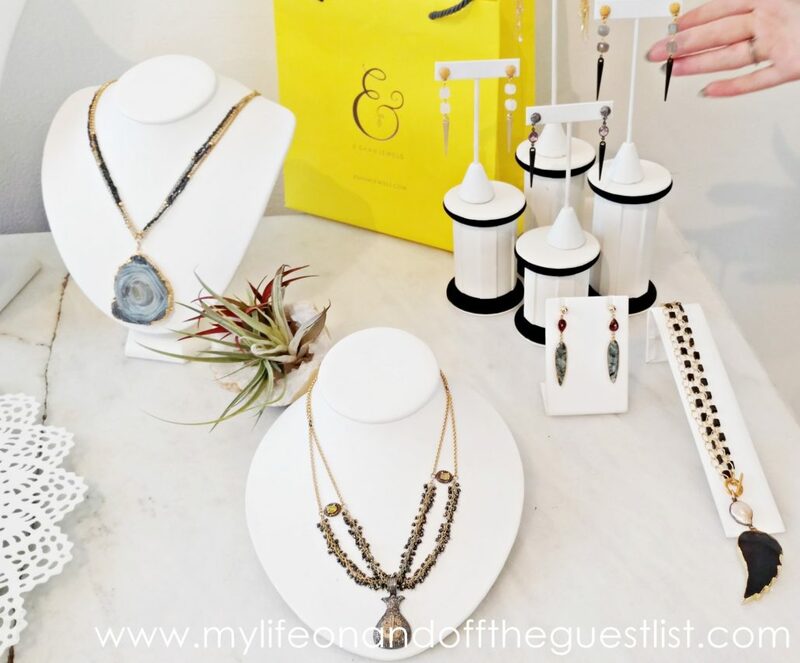 Head over to their website, visit the NYC-based store at 107 Sullivan Street, or one of the retailers that carry E. Shaw Jewels. For all tourists, bringing home souvenirs from your latest trip is a must, a small token of their escape from their regular lives to a new destination. 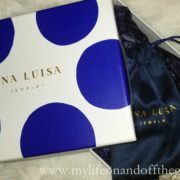 Souvenirs evoke memories of the fun-filled days spent relaxing on the beach, eating new cuisines, and enjoying new views, especially if the vacation was to somewhere tropical. While many may grab t-shirts, handmade pottery, and seashells, many may wish to take a bit more from their favorite destination, a keepsake that will last. 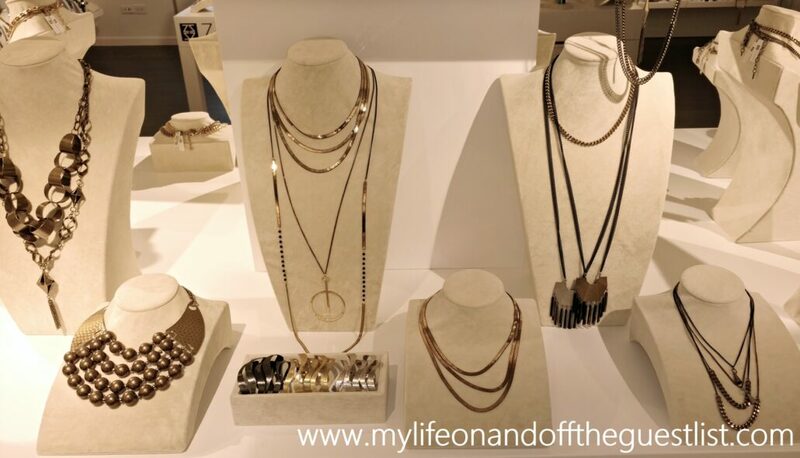 In comes Dune Jewelry with a beautiful and memorable option to carry the memories from your favorite destination with you. Some of my favorite and most memorable vacation spots boast the most beautiful beaches, this includes the island where I was born, here many of family members still reside, and Oprah selected as her favorite, the island of St. Lucia. 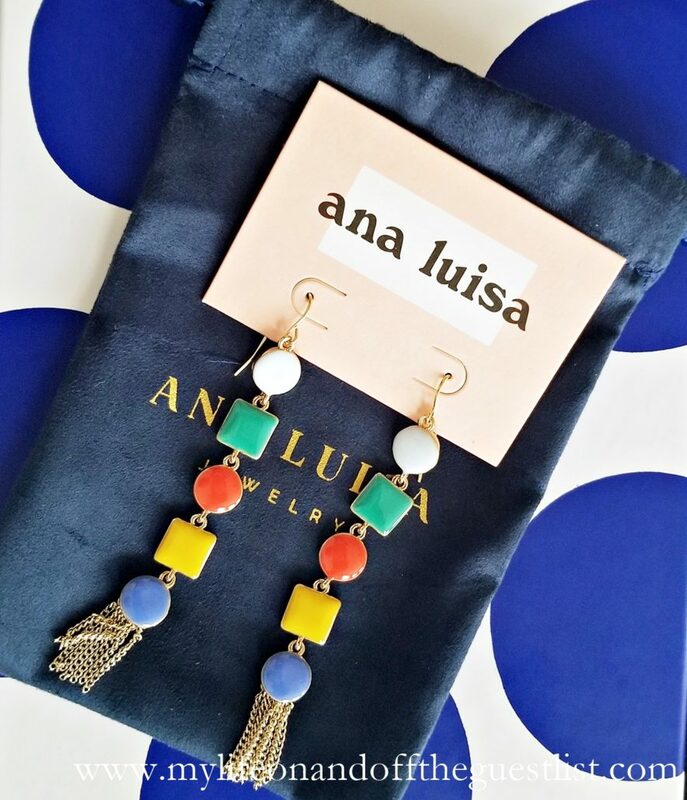 It’s been years since I’ve enjoyed the wonderful beaches of St. Lucia, but thanks to Dune Jewelry, and it’s founder and designer, Holly Daniels Christensen, I’ll carry a piece of the island of my birth with me wherever I go. 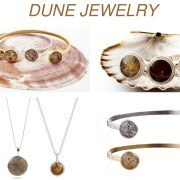 You see, Dune Jewelry is the original beach sand jewelry company. 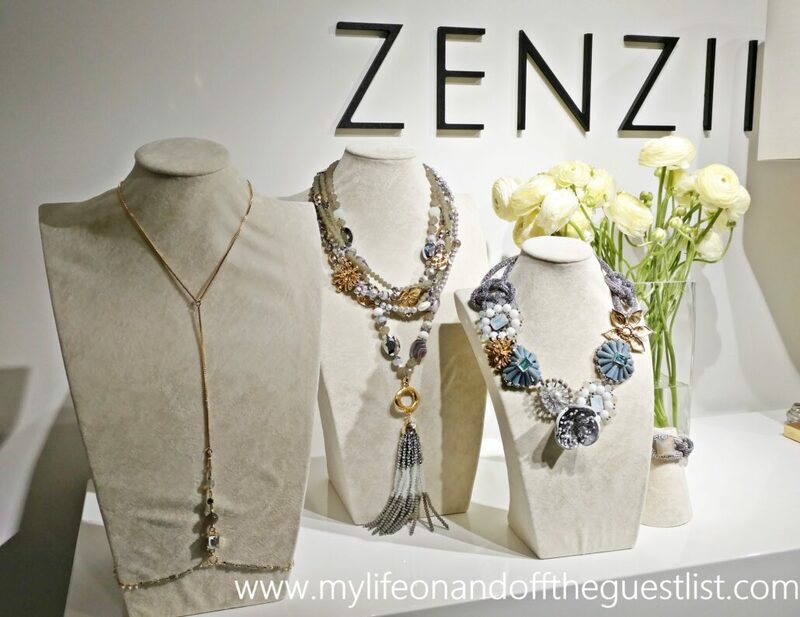 With their unique and priceless handmade jewelry pieces, you can create a personalized jewelry keepsake of your special travel memory with jewelry filled with sand from your favorite destination. 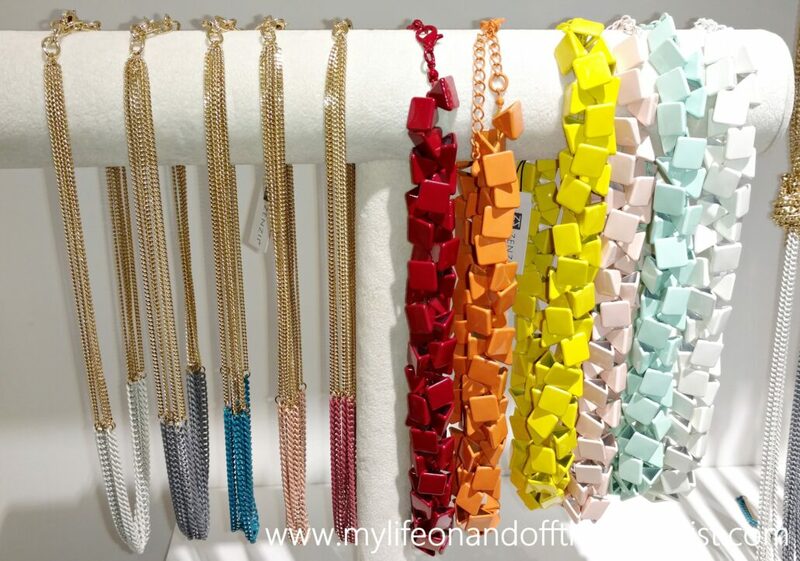 Because sand varies in size and color and comes in a vast array of colors and textures, adding it to your jewelry gives your piece a distinctive appearance. 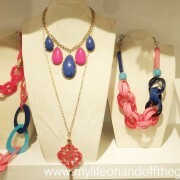 Some of our favorite pieces include the Regatta Ring, Sandollar Necklace, and Inlet Cuff Bracelet. The Boston-based jewelry manufacturer gives you the choice of selecting beach sand from their Sandbank, which offers a worldwide selection of over 2500 beach sands and locations, spanning all seven continents, or you have the option to send in your own sand! 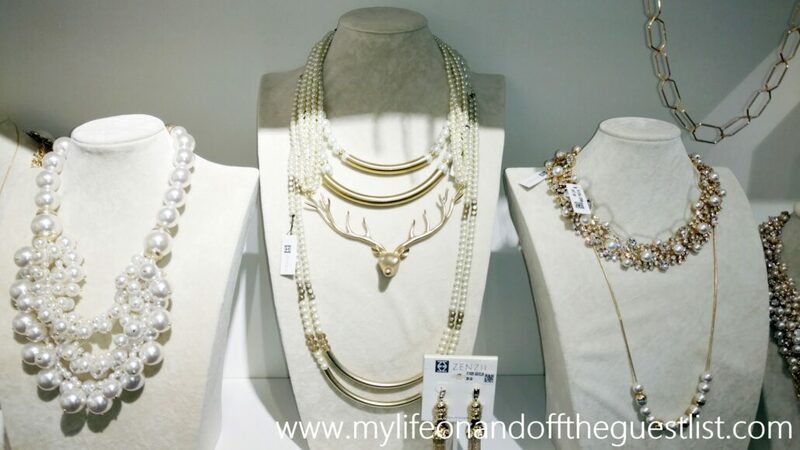 Dune has jewelry and accessories for both men and women and the pieces are sophisticated, chic and stylish enough to wear to work and evenings out. 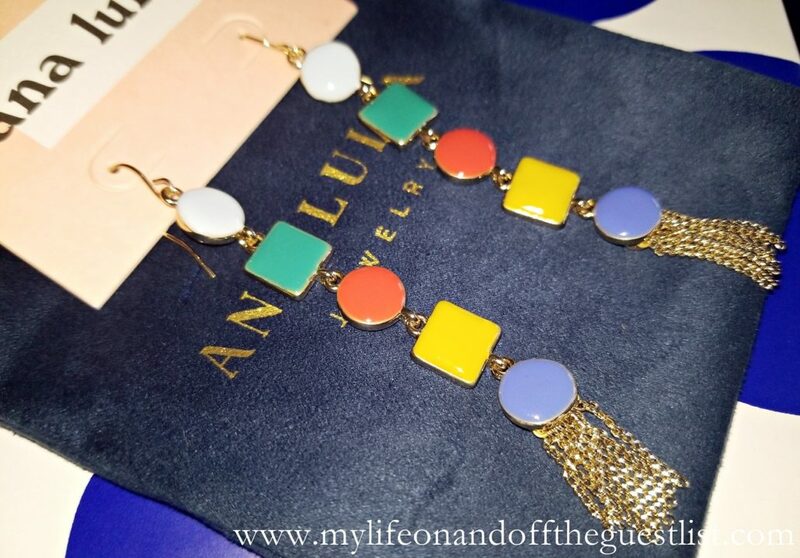 So if you’re looking for a way to celebrate the memory of your childhood home, favorite girls or guys getaway, a romantic vacation, or your honeymoon, with Dune Jewelry, you will always have that travel beach memory. All of Dune’s pieces are made in the US and have a lifetime warranty. Each piece comes with care instructions and information on the sand enclosed. 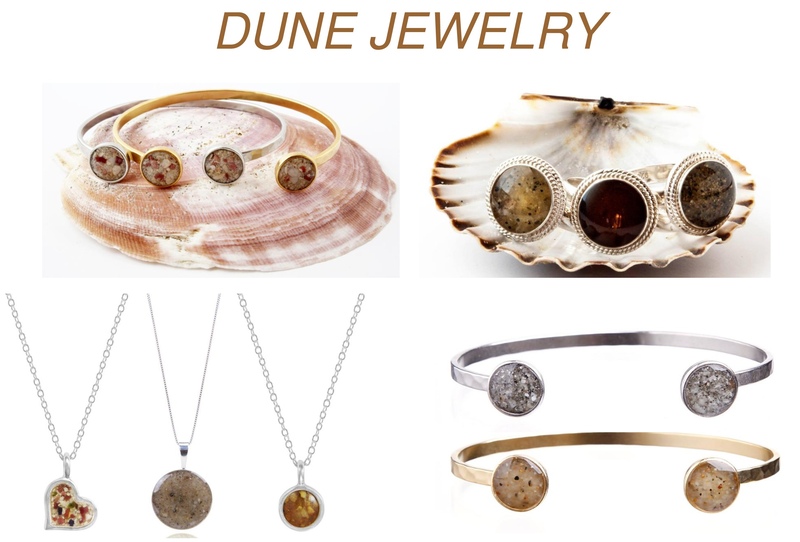 What’s more amazing, Dune Jewelry makes a quarterly donation from portions of every purchase made online to various coastal preservation organizations. 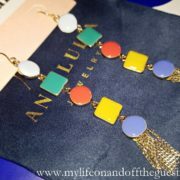 To purchase your favorite piece, visit www.dunejewelry.com, and various retail stores nationwide.